Available since the 18th May of 2015, Arastta allows the creation of online stores of high quality, from personal to more complex stores with various functionalities. Let's see the top 10 superior features of Arastta. I hear you: "Come on, they're both FREE!". Yes they are but if you want to have Arastta's features into your OpenCart store then you have to pay $500 in total. 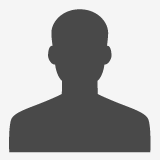 I'm not exaggerating, seriously, I've counted Arastta's features available as OpenCart extensions one by one and the result is 500 bucks. And you know what? 30% of your payment goes to Mr.Kerr's pocket. Yes, exactly, you pay him $150 yearly to bring you a free product!?! Of course, some crucial features are not available as extensions (one-click update, app store, easy installation etc). We value the community and share a common ethos that is Community Driven eCommerce. Unlike the dictatorial management of OpenCart, the governance of Arastta is based on meritocracy. We listen to you instead of just doing what we think you need! How many of you OpenCart store owners have dreamed about this? It's time to make your dream come true with Arastta. Updating your Arastta online store is just one-click away. Moreover, it's not only for Arastta core but also its extensions, themes and tranlsations. Arastta has a clean and modern admin interface with collapsable filters, live search and bulk action buttons everywhere. Think the nightmare if you want to disable a couple of products or countries in OpenCart, you must enter their edit page, find the Status option and disable them one by one. With Arastta, you can do this within one-click. Also, the new Save, Save & Close and Save & New buttons save lives during the editing process. The super simple and quick checkout of Arastta can skyrocket your sales. It's just 3 steps, not scaring 6 like within OpenCart. Thanks to its fancy indicators, with Arastta, your customers are aware of where they are. Arastta aims to offer the best protection practicies around the web. With its precautions, you'll be able to keep your admin panel secure. Arastta puts your online store under its firewall shield and allows you sleep well. All the pages of your store have clean and friendly URLs by default. Arastta creates unique URLs and avoids duplicate content penalization. Selling globally? You can have SEO URLs translated to the active language. Backed by modern technologies, within Arastta, we've implemented the most popular 5 caching storages; Apc, Memcached, Redis, Wincache and XCache. Thanks to the Page Cache feature, your store loads in about 50 ms. Create your own theme within seconds on the fly, with live preview support and no code knowledge. You can change a lot of things such as colors, images, backgrounds, custom CSS etc. via the Arastta's Customizer tool. Managing your modules is just a piece of cake. Drag & drop. Positioning a module in content top, bottom, column left or right has never been easier. It also allows you create or edit layouts without leaving the page. I wonder, wouldn't it be better to focus on the good things in this project, without mentioning OC - and specially Mr. Kerr? If reading everything about the project and features here at the site, someone might get it all wrong, that this is just about provoking the mentioned person. Anyhow it's a kind of "marketing" that may backfire badly. I know he does much of the same, but it's no need to fall down on the same low level. Just my 5 cents from the side line, not to offend someone. Actually I disagree with Rune and I agree with Denis. I have a lot of experience with OpenCart and I'm looking here because I'm seeking software for my next store that won't cause drama when it's time to update. 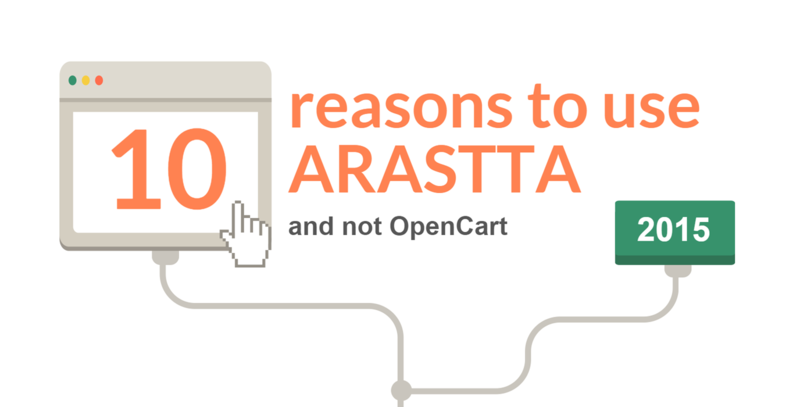 If you have ever tried to do a 1-click update of OpenCart and have everything fall apart, you'll know that a 1-click update is a good selling point of Arastta which should DEFINITELY be pointed out. It's a huge pain-point in OpenCart, as I discovered from personal experience. However, the bigger issue I have with Arastta is that there appears to have much more limited payment gateways compared to OpenCart. Most e-tailers in 2016 and onward are looking for multiple well-known options such as PayPal, Payment with Amazon, and PCI-compliant offline credit card. It would be helpful if Arastta could comment on this and clarify which payment gateways they currently offer. Arastta has huge potential as a "better OpenCart" - in fact hands-down the best e-commerce out there - if they could have all those 3 payment gateways. By offline CC I mean where the cc details are stored securely and encrypted (NOT in plain text to anyone who has admin login), and then merchant processes the cc transaction on their own equipment. Vera, my point is that it's better to talk yourself up, without talking someone else down. Better talk about all the good things that you can offer, and forget about the others. Else the risk of starting a flame war is big.